Two cocktail confessions in a row! You can tell when we think holidays where our heads are. In all seriousness though, we are trying to hold onto every last minute of fall before the Christmas season arrives and with that comes our favorite fall flavor...pumpkin spice! 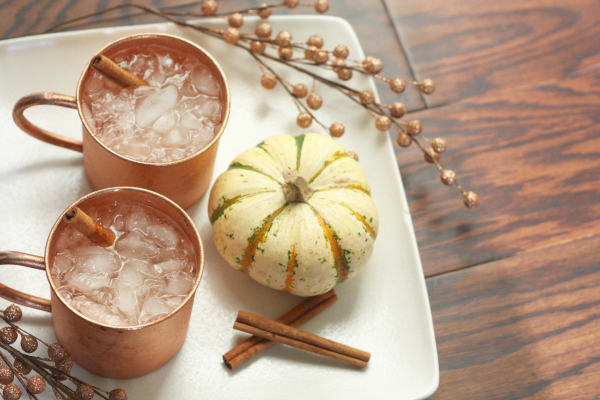 We've shared several of our favorite Moscow Mule recipes here on the blog and it is no secret that it is one of our favorites. 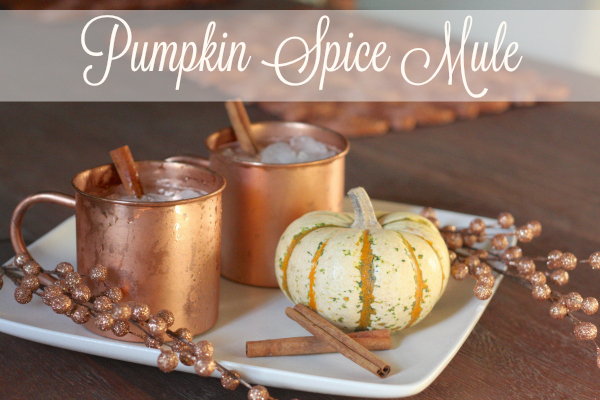 Today we have a fall twist on this favorite and created a Pumpkin Spice Moscow Mule. We're sharing the recipe and all of the details over on Savvy Sassy Moms today. Trust us, this is the perfect drink recipe to kick off your Thanksgiving so be sure to grab the ingredients and mix up a batch today or tomorrow or both! Cheers!